Many Alabama breweries and distilleries are looking to expand to additional locations, but current Alabama law makes multiple locations difficult and inefficient. 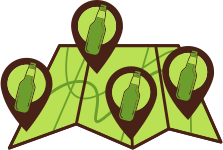 The Guild supports allowing multiple-location breweries and distilleries and to allow transfers between locations in compliance with federal law. Alabama praises itself as a business-friendly environment with low, easy-to-understand taxes. However, the state’s excise taxes on beer and liquor sold at tasting rooms are complicated, arbitrarily assessed, and unnecessarily high. 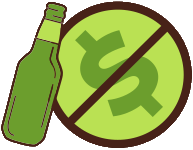 The Guild supports a simple, flat $4 per liter tasting room tax on spirits and to remove the 50% penalty for beer sold at the tasting room. 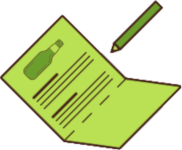 Existing interpretation of three-tier statutes prevent brewery and distillery owners from participating in nonprofits that also host licensed special events. The Guild supports a clear exemption for nonprofit organizations from the definition of “financial interest” for three-tier purposes. Current Alabama law prevents brewpub licensees from thriving. 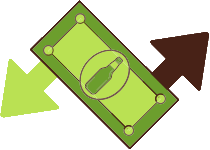 The Guild supports increasing the production limit for brewpubs and allowing other brewing companies to own brewpub locations.